There are several fine establishments in the area where you can stay and enjoy your visit. The areas listed here are close to the park and offer you and your family, a variety of amenities, activities and lodging options. We have partnered with them to offer specials on stay & play packages and many offer discounted room rates when you mention Brownstone or Powder Ridge. The hotel rooms at Powder Ridge feature queen size pull-out couch or Murphy beds, full bath and television. To make your stay extra-special, take advantage of our Private Dining Area at Fire at the Ridge. Built in 1810 as a grand residence for the president of Middletown National Bank, and later transformed into a National Guard Armory in 1919, the lovingly restored Inn at Middletown invites guests to enjoy colonial styled accommodations and contemporary services. Guests will discover a memorable retreat at this luxury boutique hotel, located just across the river from Brownstone Park, and less than 20 minutes from Powder Ridge. The Courtyard by Marriott hotel in Cromwell is the perfect hotel when visiting Cromwell, Hartford and surrounding Central Connecticut towns like Middletown, Berlin, and Rocky Hill. Located midway between Boston and New York and convenient to Bradley Airport, The Courtyard’ hotel in Cromwell is a hub for corporate, group and leisure travelers visiting Powder Ridge Mountain Park & Resort and Brownstone Exploration & Discovery Park. The Cromwell hotel offers up to 7,400 square feet of diverse meeting and banquet space and features 13 meeting rooms. Conveniently situated off I-91 Red Lion Hotel Cromwell is just minutes away from premier attractions including Powder Ridge and Brownstone Park. 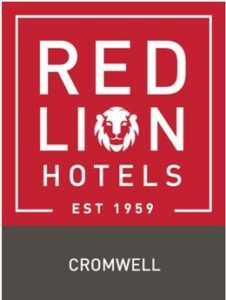 Red Lion Hotel Cromwell is perfect for your upcoming trip. With a business center and fitness center that are open 24 hours, you can take care of work or exercise anytime. Afterward, unwind in the solarium’s sauna or hot tub, or take the time to explore Cromwell’s charming downtown. Owned & operated by the Gustine family since 1964, Nelson’s Family Campground is located on 175 scenic acres in the heart of central Connecticut. Whether for the day, week, month or season, the campground is an ideal place to camp, relax and enjoy the great outdoor life with your friends and family. The campground caters to all ages and lifestyles and welcome tent & popup campers. Nelson’s is about 11 miles east of Brownstone Park. The all-suite, extended stay Residence Inn Hartford Rocky Hill hotel is located just off I-91 with easy access to Hartford, and Powder Ridge Mountain Park & Resort and Brownstone Park. 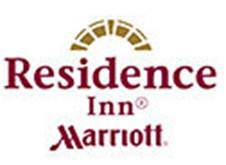 As the only Marriott in Rocky Hill and a 2014 TripAdvisor Certificate of Excellence Winner, they are a top choice among Rocky Hill hotels. Owned & operated by the Gustine family since 1994, Wolf’s Den Family Campground is located on 35 scenic acres in the beautiful Connecticut River Valley. Whether for the day, week, month or season, the campground is an ideal place to camp, relax and enjoy the great outdoor life with your friends and family. Every year thousands of families, many of them repeat customers, find their way to Wolf’s Den to join us for loads of fun activities, visiting many nearby attractions, and just kicking back and escaping for a while. We cater to all ages and lifestyles and welcome tent & popup campers, full time travelers, seasonal and weekenders alike. As we celebrate over 50 years in the camping industry, we invite you to visit and experience all the family fun and camping excitement that we have to offer. Wolf’s Den is about 25 minutes away from Brownstone Park.